ePub is a standard e-book file format that is supported by all popular e-book reading device including the Sony Reader, BeBook, IREX Reader, iPhone and the Nook from Barnes & Noble’s. Amazon Kindle reader uses a proprietary format (AZW) and cannot read ePub files directly though there are free tools to convert ePub into MOBI (or even PDF) which is a format that your Kindle can read. Other than hardware devices, you can also read .epub books on your desktop or mobile phone using free e-reader software like Mobipocket, FBReader (for Linux), Aldiko (for Android) or Adobe Digital Editions. If you are looking to download classic titles in ePub format to read offline, the best place is Google Books (select the “public domain only” option). Google Books has more than a million public domain (out of copyright) books in the EPUB format that are completely free and they aren’t protected by DRM so you can read these ebook titles on any device / computer without restrictions. Project Gutenberg and FeedBooks are some other useful sites that offers most of their titles in the EPUF format. 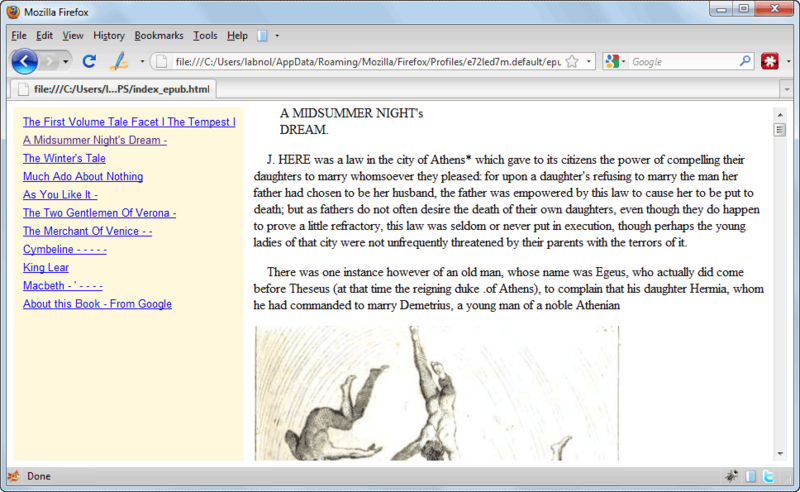 Firefox users can download EPUBReader, a free add-on that lets you read the contents of any ePub book right inside their favorite browser without requiring any special software. ePub is basically a zip file that contains a collection of text files and images. This add-on will simply uncompress that zip file and display the contents inside your browser. In regular course, if you click on a link that points to an ePub file, Firefox will prompt you to to save that file onto the hard-drive but with this add-on installed, the ebook will directly open inside your Firefox tab like any other web page. Additionally, you can open any ePub file that’s on your desktop using the File -> Open File menu in Firefox. 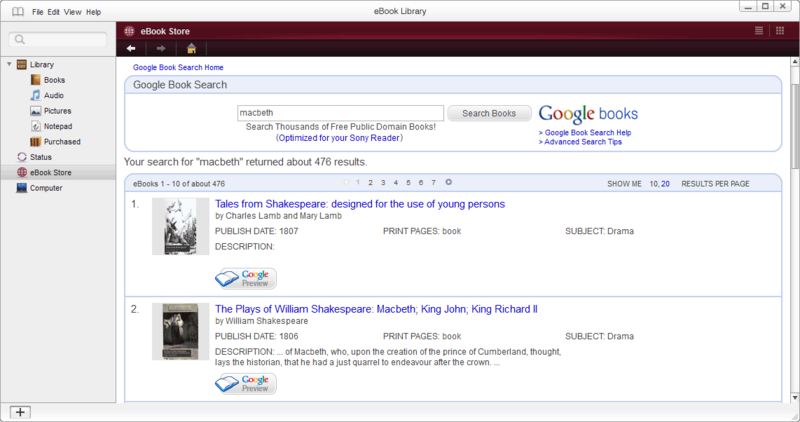 All the ebook are automatically stored in your Firefox profile under a separate sub-directory. If you want to publish your own books or blog in ePUB format, the easiest option is that you compose the text in Word (or Google Docs), save it as an RTF file and then you use Amazon’s Stanza program to convert that document into an ePUB ebook. Before publishing, you should also use the EpubCheck tool from Adobe to make sure that the markup in your ePUB file is valid after conversion. Alternatively, you may use the free Calibre program to convert virtually any document format into ePUB in a batch. Calibre is available for Linux, Windows and Mac OS X. 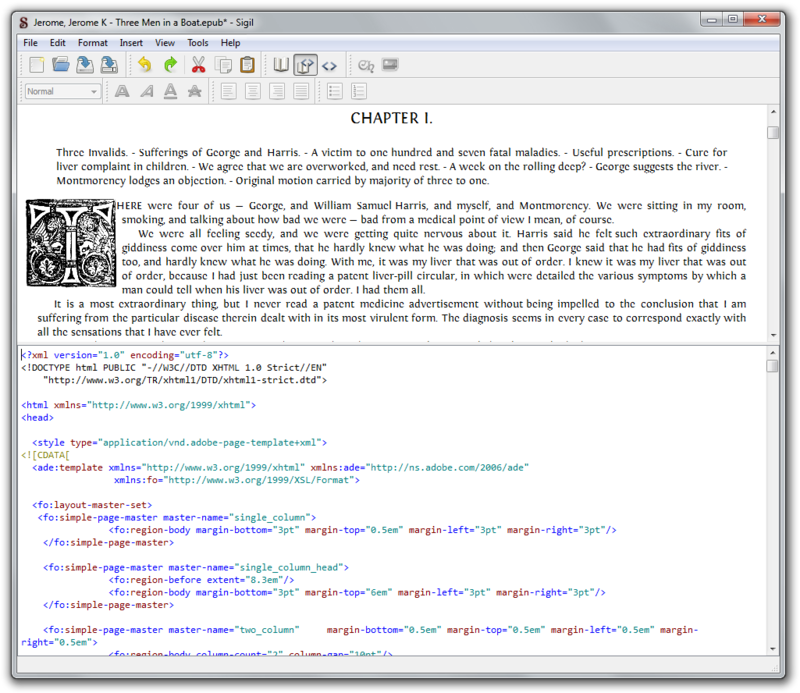 And for editing ePUB files, you should try Sigil – a WYSIWYG editor that also runs on Windows, Linux and Mac and support the. While you can download ePUB books directly from the Google Books website, Sony offers an excellent desktop application (for Mac and PC) that is nice integrated with Google Books and you don’t have to own the Sony Reader for using that application. You can then search public domain titles on Google Books directly from the desktop and save them to your local library in ePUB format.